A dealer in antiques found the perfect cottage-size home for herself and her collections, then set about creating a comfortably eclectic interior. 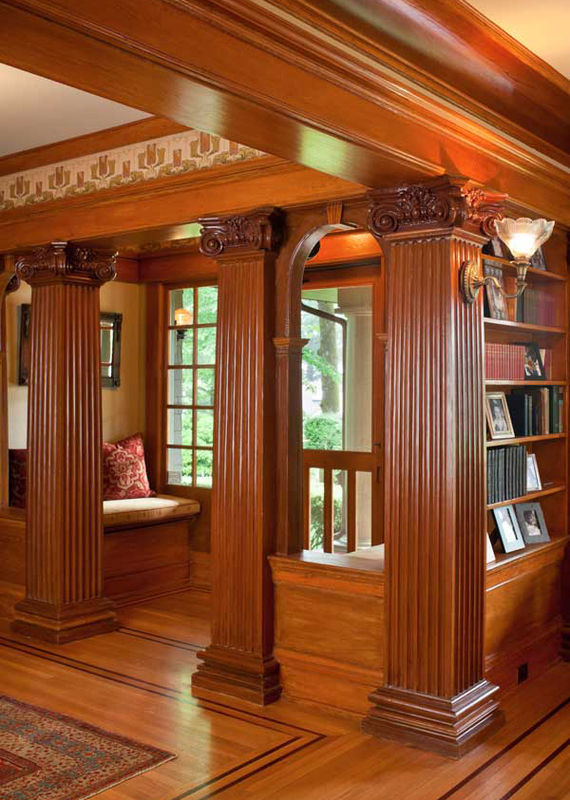 The fluted square columns of the colonnade frame the corbelled brick fireplace in the 1920s parlor. The charming bedroom is centered around an antique brass and iron bedstead. 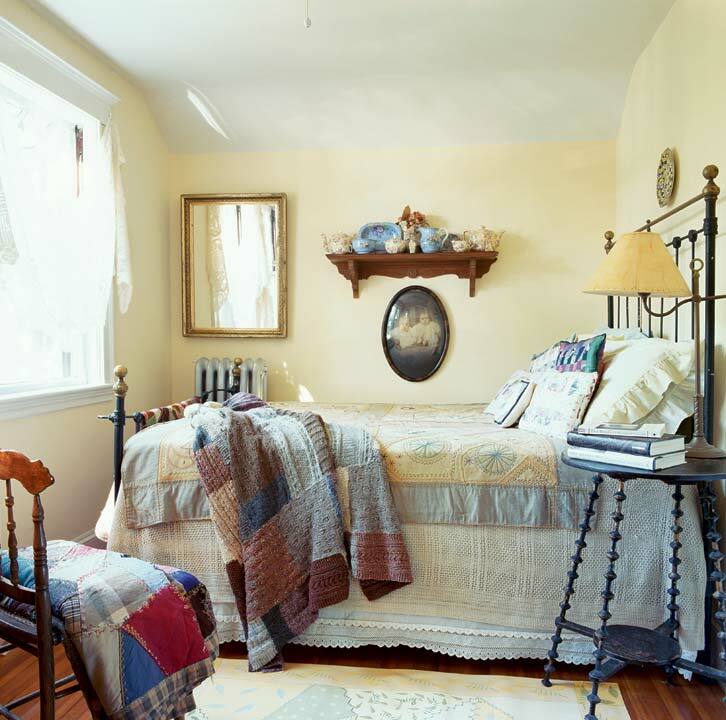 Antique quilts lie on the bed; a collection of vintage tea sets sits on a Victorian wall shelf. 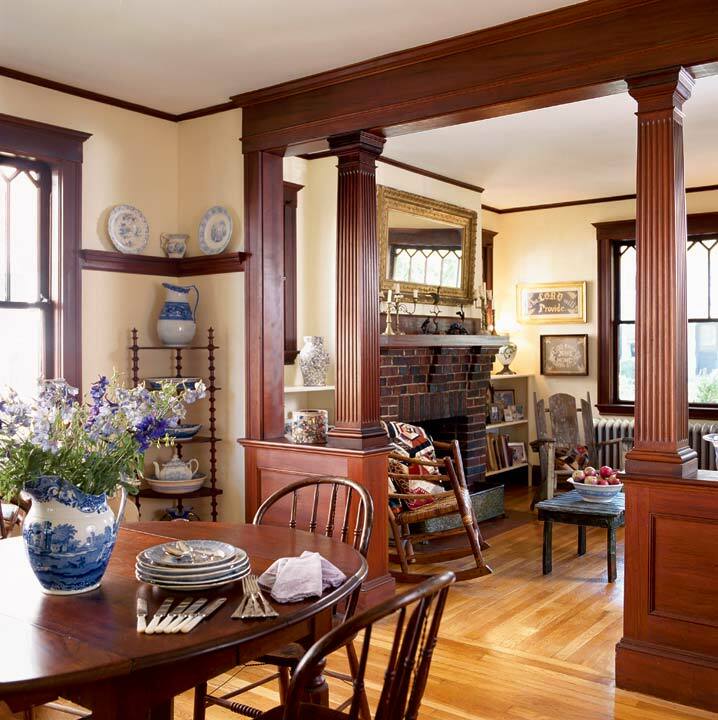 Sandy juxtaposed her collection of Victorian architectural fragments onto the Craftsman-style woodwork trim. 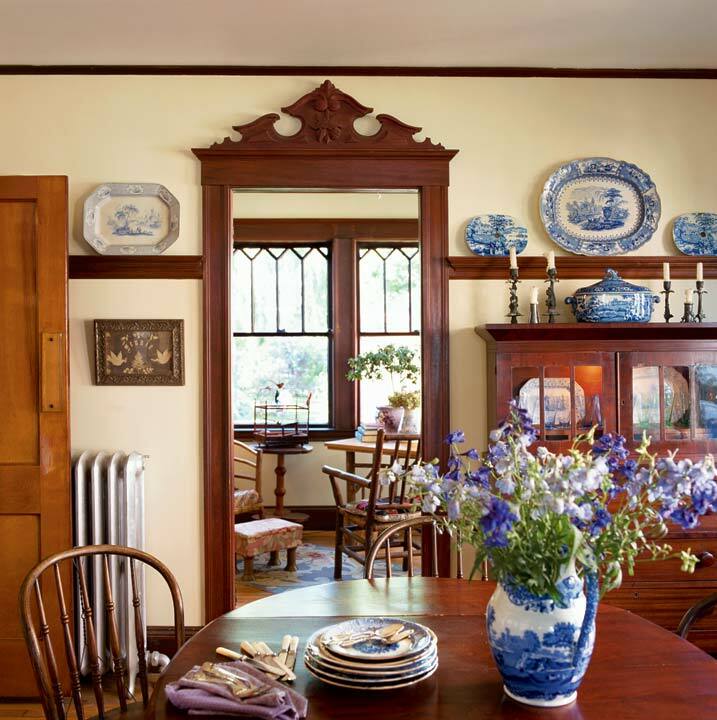 Mid-19th-century furniture pediments sit atop door and window casings in a few strategic locations, lending a pleasant quirkiness to the interior. 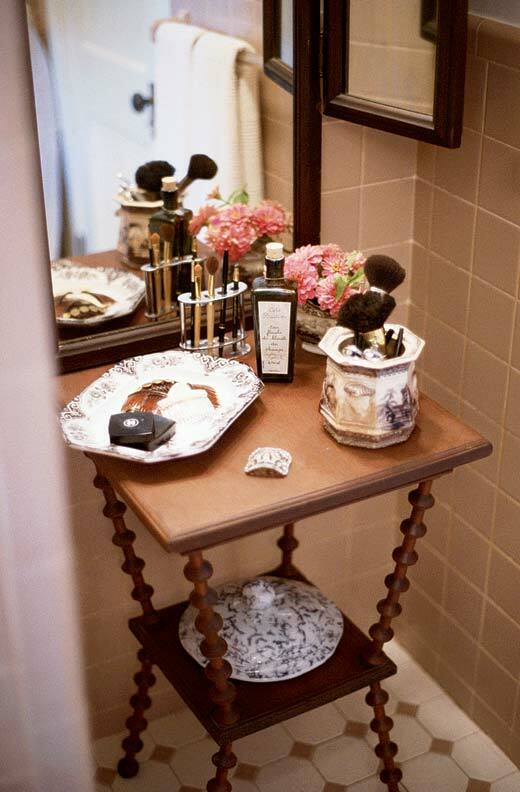 While her interior furnishings leave a historical impression, she didn’t adhere to a particular era or style. Most of all, the house is a showcase for her possessions. 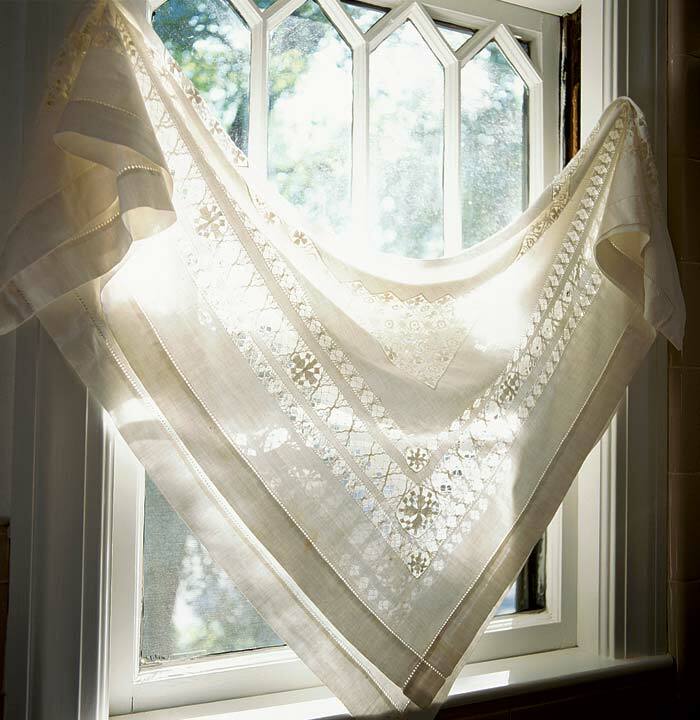 Sandy is an inveterate collector—when she gets focused on something, she proceeds to acquire with abandon. Spool furniture is another passion: rustic items incorporating discarded spools. Sandy has more than 30 objects, including a rocking chair and various stands and tables. She had shelves built on either side of the fireplace to balance the ornate staircase at the other end of the parlor. The top shelf is reserved for her glass trumpet vase collection. These hand-blown, Depression-era pieces were fashioned in a variety of colors; her favorites are blue, amethyst, gold, and shades of green.